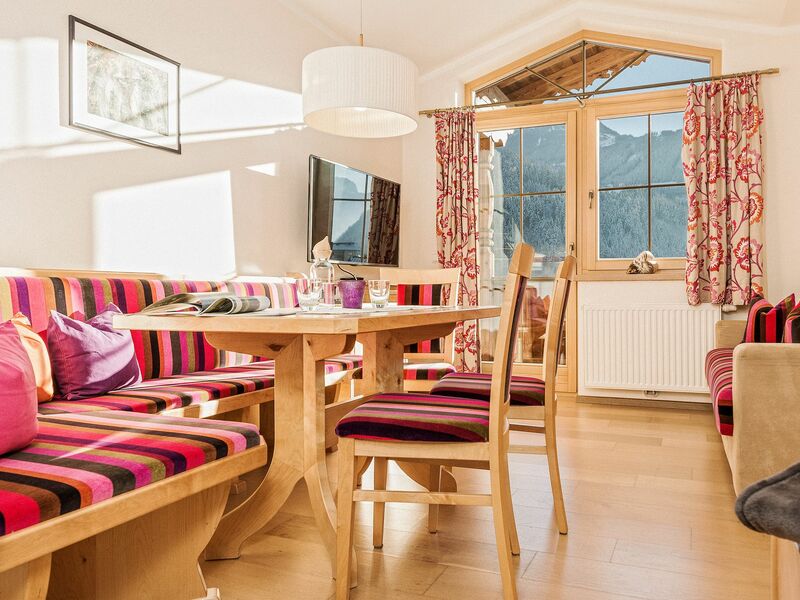 In our lovingly furnished 4* apartments and comfort rooms in picturesque Zell am Ziller, you will feel the calming power of local types of wood such as PINE, SPRUCE, MAPLE, BIRCH, and OAK. The perfect mixture of modern comfort and tasteful design provides for an incomparable stay. The stylish furnishings made of wood accentuate the unique features and exude a pleasant wood scent as well as a soothing feeling full of comfort and security. Arrive and take a deep breath! Whether a summer, winter, or wellness vacation – your home away from home invites you to unwind and relax. 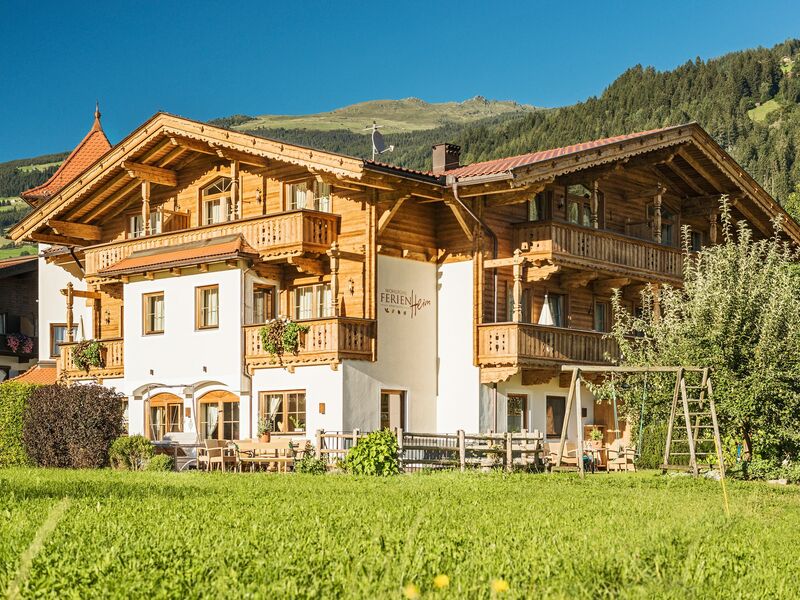 Surrounded by the Zillertal’s breathtaking mountain landscape, your body can recuperate in 4* Aparthotel Wohlfühl Ferien-Heim while mind and soul regain energy and new vitality. In the neighboring 4-star S partner hotel Sonnenhof, you can enjoy exclusive access to the vast sauna and wellness area with indoor pool, outdoor pool, vital sauna facility, and modern fitness center. Only a 2-minute walk from your cozy accommodations, the gondolas of the Rosenalm lift will take you to the Zillertal Arena in summer and winter, where unadulterated nature experiences and the finest skiing fun are awaiting you.